Nissan India has announced a new strategy for India and mentions that the company will launch new products, strengthen the Nissan and Datsun brands, expand its dealership network, optimise flexible manufacturing and strengthen R&D facilities. "Nissan is committed to India and has built the foundations to succeed," said Peyman Kargar, senior vice president of Nissan Motor Co. Ltd, Chairman- Africa, Middle East, and India. He further added, "Our strategy will strengthen both our brands for our customers across India. The Nissan brand will bring the best of global Nissan products and technology to our customers in India, starting with the Nissan Kicks. For Datsun, we aim to offer compelling products across segments offering value, connectivity and Japanese engineering." The new strategy includes bringing Nissan's worldwide lineup to India that consists of electrification and connected cars. What this means is that the new-gen Leaf and also the Note will be launched in the country. The Datsun brand too will be strengthened with new launches. It is already known that Datsun too will be launching new offerings and the first will be the Datsun SUV. 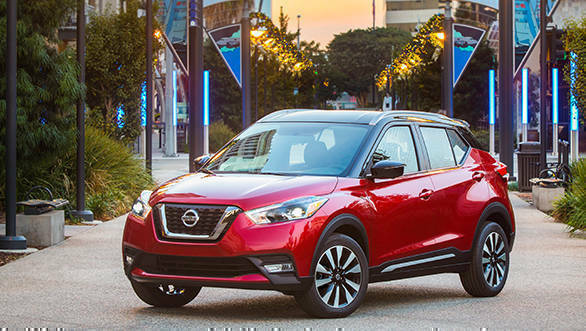 The highlight of Nissan's announcement will be the launch of the Nissan Kicks SUV that is expected to arrive in January 2019. 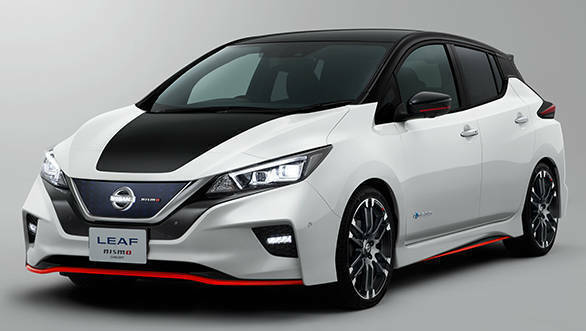 Further, connected technologies will be standardised across variants of all offerings in the Nissan and Datsun range. Both the brands will double its sales and service touch points and strengthen dealership network in the next three years, from the 270 at present. Also, there are plans to expand regional marketing and sales operations teams to four key regions across India. Further, the plan is to develop the Nissan design centre in Chennai to ensure cars meet the rapidly changing expectations of Indian customers. The brand wants to hire 500 employees in FY 2018 at Nissan's first Global Digital Hub in Kerala, with further expansion plans. Nissan Digital Hub will focus on innovations in mobility to enhance Nissan's products worldwide and in India. Also, it intends to improve customer service and satisfaction, and expand access to Nissan's products and services, through digitisation and eCommerce. The release mentions, "Since 2010, Alliance has invested INR 61 billion in India and will continue to focus on the Indian market to further develop its engineering, research and development and manufacturing operations in India. The Alliance is already India's largest automotive research and development employer through the Renault Nissan Technology Business Centre for India in Chennai. Further, the Alliance's plant in Chennai is a global manufacturing hub exporting to 106 countries." Additionally, the brand will also work to reduce complexity through greater use of common platforms as part of the Alliance 2022 goal for nine million cars per year globally to be based on four common platforms by 2022 apart from substantially increasing plant utilisation so as to enable greater efficiency.